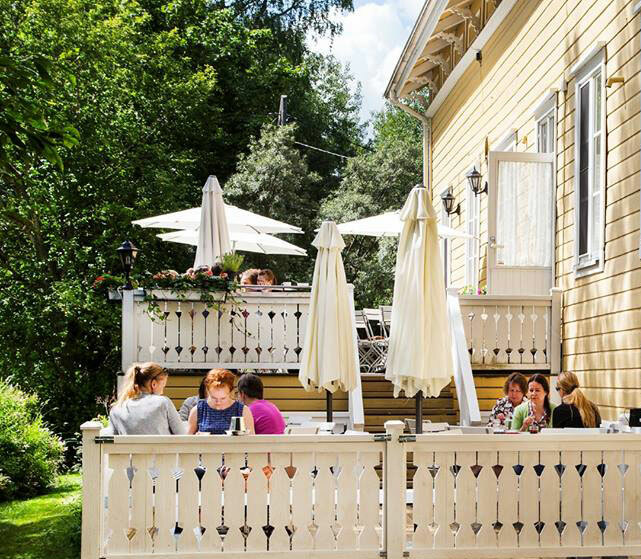 Kehäkukka café and restaurant is open year round, and offers daily vegetarian lunch specials, as well as the complete line of Frantsila products and other local produce. Welcome! 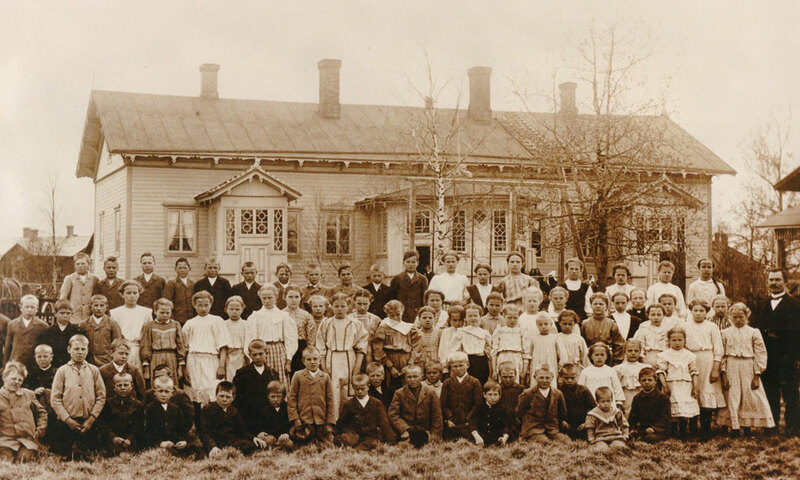 Located on the banks of the Pappilanjoki river, in a beautifully renovated school building originally built in 1875, Frantsila Kehäkukka café & restaurant sits at the very heart of Hämeenkyrö village. 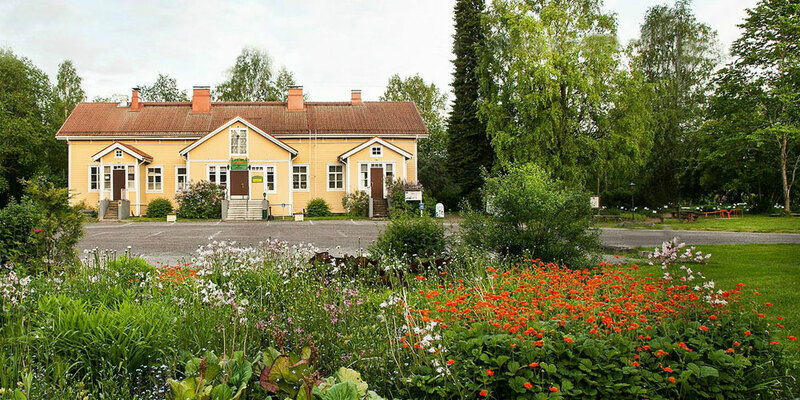 Kehäkukka is open year round and offers daily vegetarian lunch specials, savory herb pastries and organic beetroot delicacies, served alongside herbal tea and coffee. 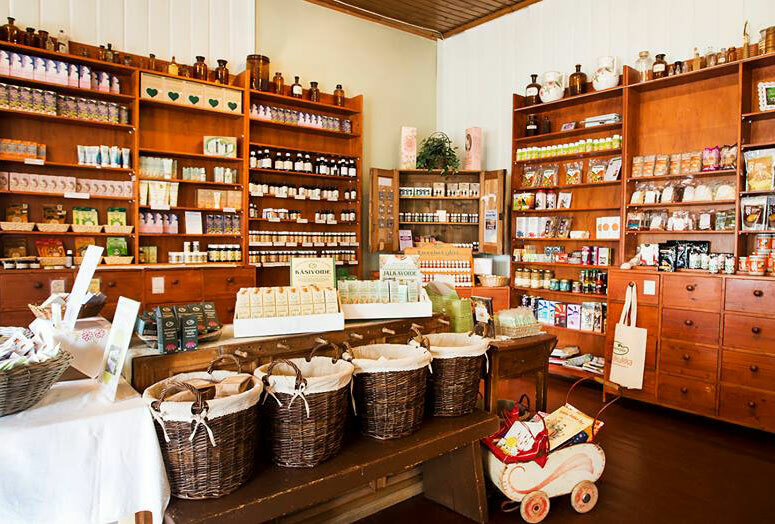 The café also includes a sundries shop, where you can buy various local produce, as well as all your favorite Frantsila products. 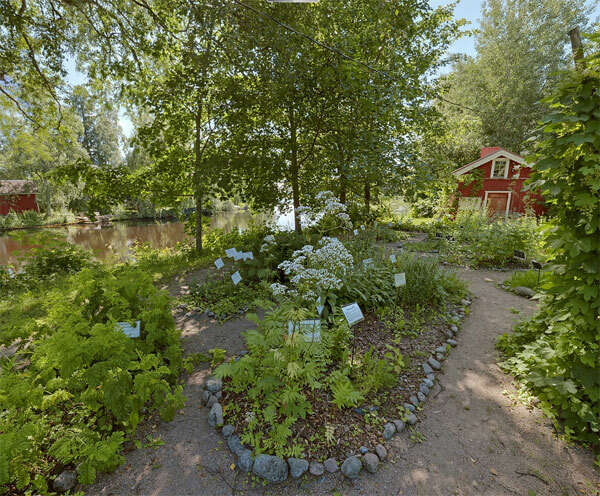 During the summer months, you can also enjoy a walk through the café’s herb garden, as well as visit the adjoining handicraft shops run by local artisans. For the moment, only selected natural cosmetic and hair care products are available for purchase on our English language web shop, including our Garden Trilogy, Midsummer Rose and Hair Care Series. Over the next months, we will add our full product catalog to the English site. Please bear with us and check back regularly for new products.